Click pic 4 more Pandora pics. Snippet of David with Manheim Zamboni (or whatever they’re called, lol) … watch this space for more to come! Love Pat-a-pat-a-pandora! I so agree….David and skating….skating and David, yes…..pure beauty all the way. Love both and can’t wait to watch the special when it airs. David singing some of the Mannheim song sounded lovely. Wonderful that he sang several songs at this event!! Very nice photos too, looking mighty fine. peppertara, so cool David’s songs are coming up on your radio station Christmas music surveys!!! Okay, I’m not a great writer but here’s a few words about last nights performance. 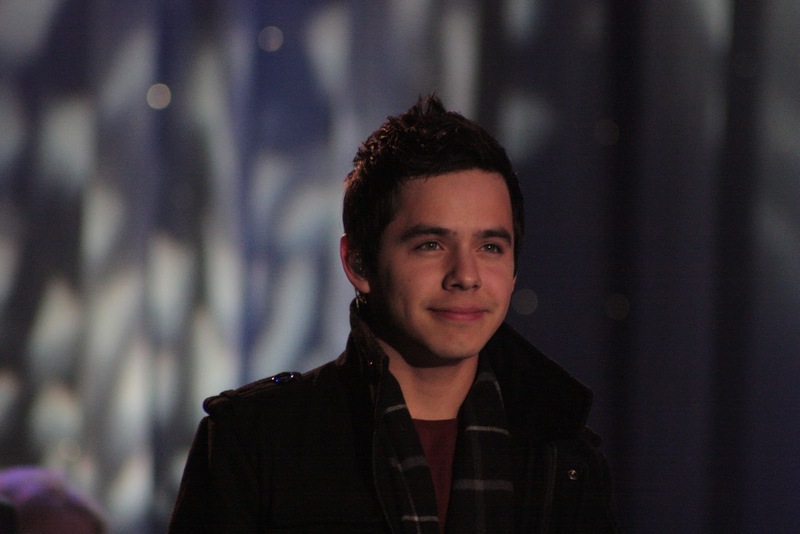 David was absolutely wonderful and pitch perfect! He actually sang 4 songs with What Child Is This being the first performance of the night. MS played David’s arrangement. It was fantastic! If I’m not mistaking, he only sang once in the first half and I was wondering if that was it…WHAT? NO MORE DAVID? UGH! But the second half made up for it quickly. 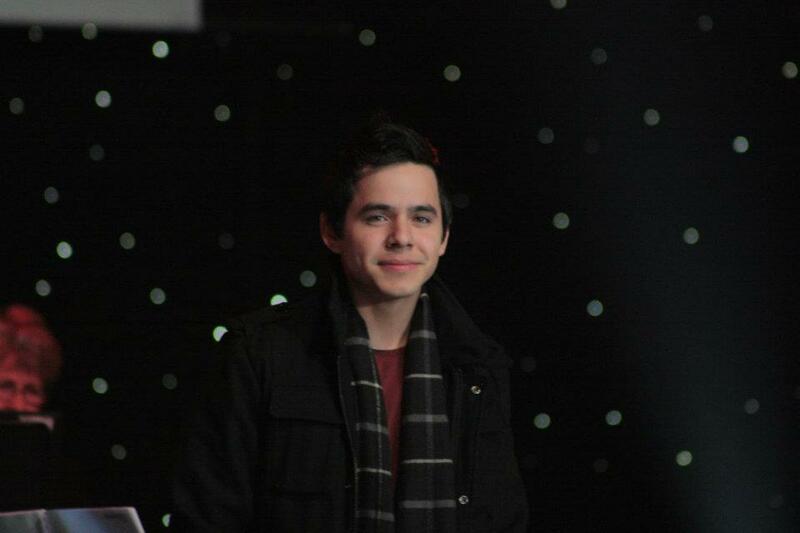 MS did their version of Silent Night and David did the ooh’s and awww’s with Chip David. Beautiful low voice range. They sound great together. Next time he came out and sang Pat-a-pan and then went to the piano and sang To Be With You, with Rachel Flatt skating to it. There was a music glitch in there somewhere and all you heard was David playing and singing, so they did a retake after and it was perfect! So lucky to hear him sing it twice. When he hit the high sustained note on “way” my mom turned to me and said, WOW! This is the first time she’s heard him live. The last song he sang was one of MS songs that I was not familiar with, but it was soft and sweet and AMAZING! Sorry I don’t remember the name. David had me mesmerized! It was a wonderful night and you all have to watch it on the 27th! I just hope they edit all of David’s songs in. He was perfect! He did his little waves after every song and let me tell you, the crowd went crazy whenever he came out! “Snippet of David with Manheim Zamboni,” lol. You kill me. That is all. lol, yes emme> Mannahiem Zamboni>>> my morning giggle!!! Thanks for bringing Sweetonda’s recap over…. so glad you got to go Sweet!!! “soft and sweet and AMAZING” <<<I think I am really going to like this new song. Ah, TOfan, VERY clever title “Pat-a-pat-a-Pandora” 😀 & the Mannheim Zamboni, too. Loved SweetonDA’s recap, also. AND … well, David is beautiful … voice and looks and spirit! I can’t wait to watch the show cause I love David and ice skating. Should be lots of fun! Y’all have a great day!